Our Alberta elk bowhunts take place in the foothills of Southern Alberta. This beautiful ranching country is made up of timbered ridges, rolling aspen and poplar hills, lush meadow and hay fields. The areas we hunt are a combination of private and public ground which have a very strong elk population. 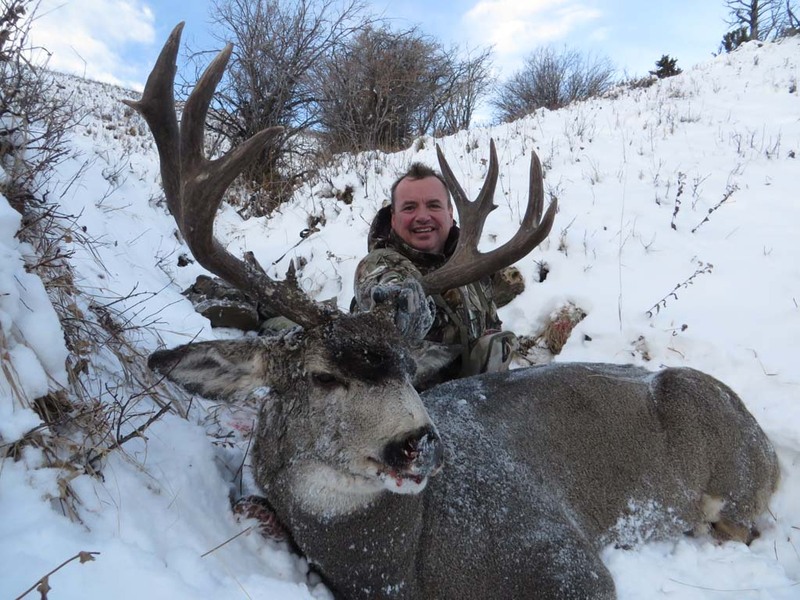 Little resident hunting pressure allows us to provide an exciting elk bowhunting experience. We run our elk bowhunts during the rut from the middle of September to the first of October. Elk bowhunting during the rut allows us to bugle in bulls to within 40 yards. Our experienced guides, using numerous proven calling methods and decoys, present our hunters with almost daily opportunities. There is nothing as adrenaline filled and action packed as the close interactions had during our elk bowhunts. Our rifle Alberta elk hunts take place in the same area as our elk bowhunts in the scenic South-Western corner of Alberta. We offer two rifle elk hunts throughout the season. The first hunt is at the end of October when the elk are in herds finishing up their rut. The second hunt is at the end of November when winter pushes the elk out of the timber to graze on wind blown slopes and ridges. During this later hunt the bulls are in bachelor herds which can be located from our many vantage points. If late season rifle elk hunting is what you have been looking for, both of these hunts offer a great opportunity to harvest a good bull. Our tags are guaranteed with no draws required. All elk hunts include professional experienced guiding, home cooked meals, accommodations, trophy care and transportation to and from the Calgary International Airport. Myself & my wife, Angie are directly involved in all aspects of the hunt making sure that every detail of your elk hunting experience is looked after. 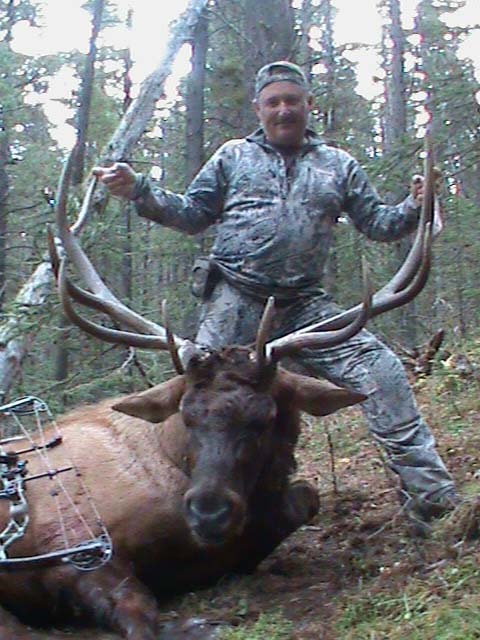 I provide you with over a decade of guiding experience to help you take home the trophy elk of a lifetime.